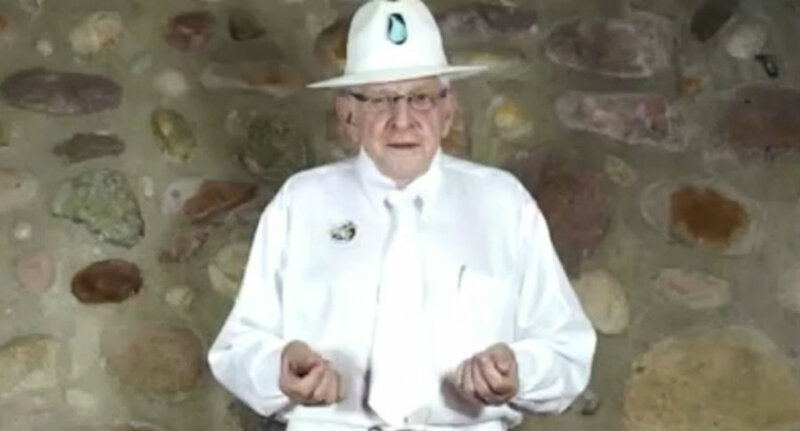 Jim Humble, the founder of a fringe church, who claimed to have the cure for almost every disease, has just admitted that the Miracle Mineral Solution (MMS) doesn’t cure anything at all. His response was made after Federal prosecutors were investigating the case, as they believed that Humber’s church was just playing with desperate people while risking their lives. Many were the people in America and various parts of the globe who trusted in the Miracle Mineral Solution’s power to eliminate diseases. Jim Humble said in the past that this solution could cure any disease from child autism, breast cancer to prostate cancer, to HIV. Now, he takes it all back. According to U.S. officials and medical experts, instead of curing anything, MMS can actually make people very ill. The Miracle Mineral Solution or MMS is a toxic solution of 28% sodium, chloride in distilled water. Its ingredients are basically those of the industrial bleach. Jim Humble created it in 2006 and ever since he has promoted MMS as a solution that can basically cure everything including HIV, colds, autism, malaria, acne and cancer. No research or clinical trials can back up such claims, and even the International Federation of Red Cross and Red Crescent Societies rejected the use MMS. Doctors say that it poses a threat to health, causing nausea, life-threatening hemolysis and even acute renal failure. Nevertheless, thousands of people claimed that this product had saved their lives from the U.S to Malaysia. “I have been using MMS for 10 [years] now and it has helped me with my health in several different ways ranging from the common cold to eliminating cancer.” wrote a woman from Michigan. The church’s website says that Jim has treated over 2,000 people himself with the mixture. As well, it states that he has also saved 75000 people via missionaries trained by him. He even promised people to cure HIV within three to six months. But Humble has just admitted it was all a lie, and that the MMS doesn’t actually cure anything. “There are certainly times I have said some things that I probably should have said differently. For lack of a better way to express things at the time – or because others put words in my mouth, in the past I have stated that MMS cures most of all diseases. Today, I say that MMS cures nothing!,” said Jim Humble in a small town near Guadalajara Mexico, when he was found escaping from American jurisdiction. In 2010, the FDA warned consumers about the severe harms derived from using MMS. The federal authorities are already investigating the matter, since as it was reported the content of the mixture is a lot like industrial bleach. As well, it was recently reported the death of a woman 12 hour after consuming the solution. Last year, Louis Daniel Smith, 45, was found guilty of introducing misbranded drugs with intent to defraud by selling MMS. He was sentenced to 51 months in prison. Canada has already banned the MMS after “causing a life-threatening reaction” as Health Canada reported.